Tooth pain can be an uncomfortable warning that your tooth has a problem. If you feel persistent discomfort, you could be experiencing the effect of an internal problem that demands endodontic care. Endodontic treatment, or a dental treatment focused on the interior of your tooth, can protect you against an issue like an advanced cavity, or an infection caused by tooth damage. Your Londodnerry, NH dentist is prepared to provide treatment with a root canal procedure. This work can be more comfortable than you might anticipate, as nitrous oxide and single-tooth anesthetic can make for a better experience during and after a procedure. What Will My Root Canal Treatment Involve? A typical root canal will see your dentist take care of infected tissues within a tooth’s pulp before sealing the pulp, and restoring your tooth. However, there are circumstances where different approaches are needed. You should know that you can count on support even if your tooth’s health needs more than the standard root canal. You can receive a root canal retreatment to address a problem that occurs after an earlier root canal, or root canal surgery for a particularly advanced infection. Restoring your tooth after a root canal requires a dental crown. The crown you receive can be made with a lifelike, but still remarkably durable, ceramic material. When your crown is in place, you should feel confident enough to bite down with it, as it is meant to have functional benefits. You can be relieved to know that your dentist can put a stop to ongoing discomfort. What you should also know is that our practice is here to provide more than just endodontic care. You can schedule routine dental appointments that help you maintain healthy teeth, and avoid future troubles. You can also rely on expert care for smaller cavities that only require a dental filling, as well as purely cosmetic work to improve the look of your smile. 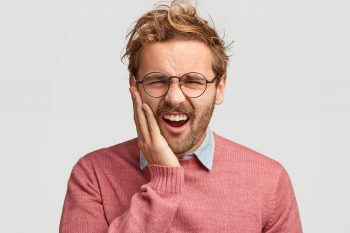 If you have an issue with ongoing tooth pain, you should know that My Dentist in Londonderry, NH is ready to help you. Our practice can offer endodontic treatment when a problem occurs with your pulp. By addressing an infection or damage properly, your discomfort can be stopped. 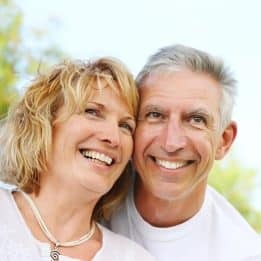 You can also look forward to receiving a lifelike restoration that allows you to remain confident in your smile, while also feeling certain your tooth is protected. We are ready to help Londonderry area families with a range of restorative, cosmetic, and preventive dental services. To learn more, schedule a consultation with one of our experts by calling the My Dentist office in Londonderry, NH, today at (603) 965-3407.